I f-cking love this video. Remember when we dressed like that? Remember “Juicy”? Is she… kinda taking credit for Juicy Couture? I’m not mad at it but I do feel bad for Ashanti. That said, JLo’s pink Juicy is basically why she’s getting the Vanguard. I mean, not that outfit, specifically, but as part of an aesthetic, demonstrating the impact of music videos on the culture. We all know that Juicy look, the look that none of us could escape during that era. And she has so many of them: Heeled Timberlands and so many hair options. I copy the half-up hairstyle she wears in the “Love Don’t Cost a Thing” video all the time. 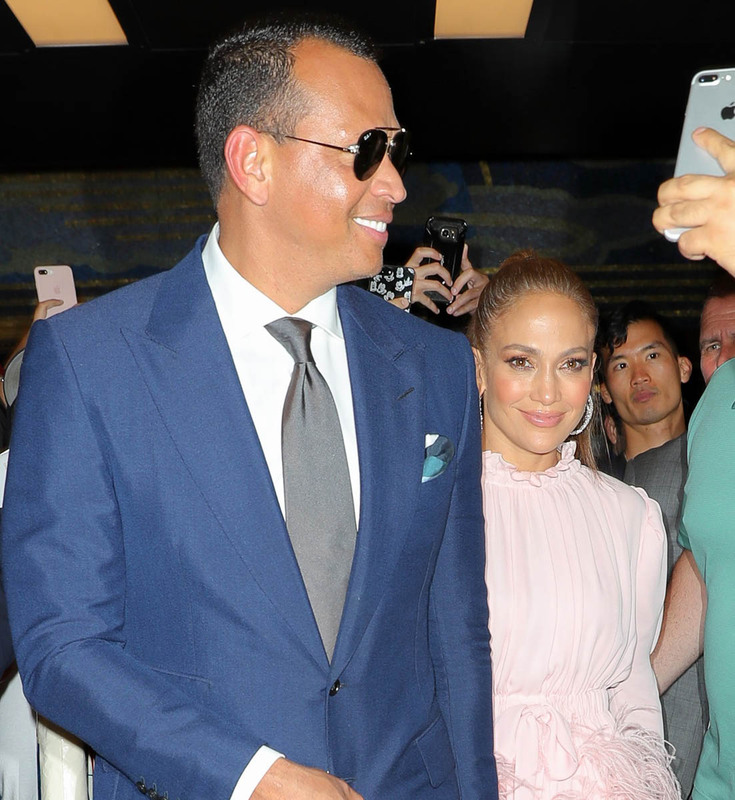 Here’s JLo yesterday with Alex Rodriguez in New York. How many cutaways are we going to see of him in the front row on Monday night during her performance?